Such is the impact of chillies in our food that while some can handle it and enjoy blissfully, others just get blown up by its degree of hotness. In this article we have listed few restaurants and eating joints in Melbourne which are famous for serving some really hot but lip-smacking dishes, so read on if eating spicy and hot food is your thing. Get ready to fire up your taste buds with this restaurant which offers a plethora of options in meat and poultry delicacies from Northern China. 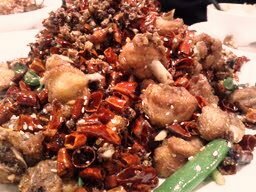 Most of the dishes either come laden with heaps of fried red chillies or Sichuan pepper to spice up your food, nonetheless some of the hot favourites (literally) are Cumin Lamb Slices, Chongqing Hot Pot, Spicy Fish Pot, Ma Po Tofu and Spicy Pork. In vegetarian platter you can dig into eggplant with spicy chilli oil and garlic and crispy potato threads and ask the chef to up the hotness quotient, as these are less hot as compared to the non-vegetarian dishes mentioned above. Make sure you order for some drinks along with the food to placate your tongue and food pipe from the grease, oil and deadly chillies. 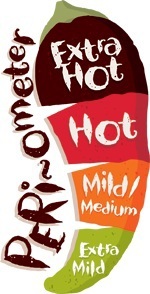 Nandos is quite popular for its flame-grilled chicken and Portuguese favourite peri-peri sauce which varies in chilli quotient from mild to hot, to extra hot and extra-extra hot. If you can't get enough of chillies and fiery taste in your food then eating at Nandos is a must for you. You can add a touch of these hot sauces to whatever you order from the menu at this eating joint to turn up the heat within you and see the smoke coming out of your ears. However if you want to taste heaven, then go for grilled chicken with Extra-Extra Hot sauce and feel the fire burning loud and strong in your stomach. Enjoy some fresh chips sprinkled with peri-peri salt as sides along with this dish and delight your palette. Make sure to wash your hands properly with soap before you get the urge to rub your eyes or touch your face with your peri-peri smeared hands. Location: There are plenty of Nandos joint within Melbourne so check out this link to find the nearest store around you. Living up to its name, this restaurant offers delicious and spicy Thai cuisine which is an absolute delight for gastronomy lovers. You will be amazed how a tiny place like this can run busy almost every evening. Chilli pepper is one of the special ingredients used in this restaurant for preparation of most of the dishes; however make sure you ask the chef to make all your orders extra hot to get that x-factor in your food. Some of the recommended dishes from menu are Kao Prad Bai Kra Prao and Pad Nam Prik Brao. If your desire for chilli doesn't get quenched by the dishes served to you, then order a small plate of red chillies on top of your meal and feel the heat in your body as your tongue burns with each bite of the chilli. A few sips of wine in between your dinner would be a great idea if you are coming here for fiery food. If you are not one of the brave hearts, then have something sweet or cold next to your plate to soothe your tongue and food pipe while daring to eat at these places.